Experienced business aircraft operators and first time owners alike face a common challenge. When going out into the marketplace with a jet for sale, how do you move forward in the most intelligent and productive manner? How do you obtain the in-depth knowledge and extensive experience that is so critical for you to achieve the maximum sale price? Even an established flight department director or chief pilot usually only has a multi-million dollar jet for sale periodically. Yet the potential to obtain less than current full market value when an aircraft is sold remains high. A similar challenge is encountered when seeking to purchase or lease a business aviation asset. How do you intelligently and productively evaluate a number of different jets for sale? How do you conduct the critical research and evaluation necessary to reach the best decision? In what manner can you acquire the finely honed transactional capability that is imperative for obtaining the right aircraft at the best price, with the least number of compromises, in the minimum amount of time, from the hundreds and hundreds of jet planes for sale around the globe? Then there is the whole realm of complex tax and regulatory requirements that can trip the unwary or inexperienced. Worse still, purchasing an aircraft with undiscovered discrepancies or safety of flight issues can result in extreme financial loss. Of all the jet aircraft for sale around the globe, you don't want to buy the one jet for sale that becomes an ongoing, costly issue. The simple act of doing a search on jet planes for sale or similar key words now presents a significant and seemingly overwhelming task: how do you work your way through thousands of results covering 100 or more different business turboprops and jets for sale in an intelligent and productive manner? However, there is one sure method to maximize your results while minimizing your potential for problems - Partner With Proven Professionals. One first time business aircraft owner noted that he didn't want to become a jet sales expert, but that he did want to make an expert business aviation decision. Thus he called upon the talented and dedicated Holstein Aviation team for answers, assistance and assurance. 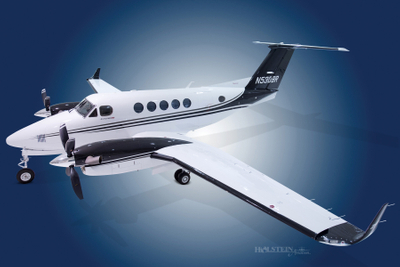 That owner, and hundreds of other Holstein Aviation clients, have benefited from the rigorous and robust sales, acquisition and leasing processes that have been developed and refined from more than 250 years of combined experience. Connections, contacts, credibility and capability. The Holstein Aviation team knows the industry and the people. We also know how to connect you with the right buyer or resource. Unrivaled service and support. Log in to your own personal, private and secure portal at www.HolsteinAviation.com 24 / 7 / 365 for access to electronic files with all the documents relevant to your project. The whole team is on your team. The knowledge, experience, expertise and contacts of each and every team member are utilized on your behalf. Knowledgeable specialists. Specific team members who know everything about specific, and complex, subjects - such as contracts and marketing - are dedicated to your project for faster and error free completion. Global coverage and cooperation. Holstein Aviation team members and affiliates are located around the corner as well as around the world for you. That global knowledge ensures full and complete marketplace intelligence and connections.